Medihub is the first medical services information and doctor’s appointment booking environment in the Baltics and Nordics. What makes the portal special is that the prices of medical services can be compared not just within a single country, but internationally – as such, the aim is to develop a “transparent medical market” unique to the Baltic Sea region or in fact anywhere in the world. The Medihub platform was launched in summer 2016 and is now at the end of one phase in its development. Medihub CEO Helary Lainjärv sums up the concept behind the Medihub portal: it’s a price information and booking platform. There are big plans – the aim is to cover the Baltic and Nordic countries’ medical markets completely. “The price comparison system was tested in six countries first: Estonia, Finland, Latvia, Sweden, Russia and England. By doing so, Medihub proved that the system was scalable and that the prices of medical services in, say, Russia and England could also be compared. As a side note, I would add that naturally only comparable things can be compared and for that reason the total number is now limited to 272 international services, that is growing continuously. Even so, such a representative selection ranging from orthopaedics to dental care is rarely seen. There are only a few portals with international price comparability and even those sites are geared purely to medical tourism,” says Lainjärv. Over 700 clinics can be found in the portal. Most of them are Estonian and Finnish clinics, but altogether, six countries are represented and the website is being updated daily. Lainjärv, who also works as a doctor in the Finnish healthcare system, says that he has been dividing his time relatively equally between the start-up and his work as a doctor, but the idea to set up the website occurred to him precisely while practicing medicine. “I was working in Finland and patients started asking more frequently what prices were like in Estonia. When I started looking into it, it was really hard to find Estonian service prices, and there was no comparison of prices between clinics. I found only a very rudimentary price comparison with Finland. So that’s how we got the idea to develop something better and simpler,” he says. Medihub was founded in May 2015 and medical tourism was initially the focus. Now the business model has changed and a course has been set toward developing the entire medical market and serving as a big data company. “Instead of narrowing our focus, we could broaden it. We have the capability of processing data in large volumes, such as making clinics’ procedures rapidly comparable and able to be interpreted,” he says. At the moment, the website is available in four languages – Finnish clinics’ services are available in Estonian and vice versa, for example. The translation takes place automatically using algorithms. Lainjärv says the most complicated aspect about developing the environment was precisely the algorithm – the system for making the healthcare services comparable with international counterparts. “You can’t compare chestnuts and acorns in terms of price – they’re in different categories. It’s the same thing with medical services – if a service includes some additional components or is slightly different, they don’t operate on the same basis. People have a hard time getting adequate information on where the same services can be obtained more cheaply,” says Lainjärv. After the opening of the website, users had problems with medical terms that proved too complicated for the layman. “People couldn’t find suitable services because they didn’t know what ophthalmology or gastroscopy was. First we added a simpler version of the service catalogue, which was adopted rapidly by over 90% of the users. We will soon complete and add to the platform the new catalogue, which represents the next advancement and which has taken over half a year to build and develop and took a team of no fewer than 16 people,” adds Lainjärv. Medihub doesn’t have any direct competitors in the Baltic Sea region. Internationally, there are many websites that broker and list prices for services in a single country. There are only a few websites with multi-country price comparisons, but these focus purely on the medical tourism, including more expensive and exclusive clinics. Nor is the aim of these websites to foster transparency for the medical market at either the regional or international level. “There is noteworthy price disparity on the medical market. Even within the same country or city, prices may vary severalfold, to say nothing of the difference between countries. Such a large price difference cannot be explained solely by differences in quality. In processing the data, we soon realized that in a number of fields, the medical market was completely opaque for patients and thus competition was deficient. In this situation, the market participants’ ability to alert clients to their existence – to promote themselves – is essential. Patients don’t have enough information when it comes to buying fee-charging services. Often they take action based on emotions, rumours and advertising and don’t have actual freedom of choice. We have done a lot of work to make it easy for users to search for services and compare prices. Compared to international competitors, we are already in the vanguard, but compared to our own vision, we’re only halfway there,” says Lainjärv. 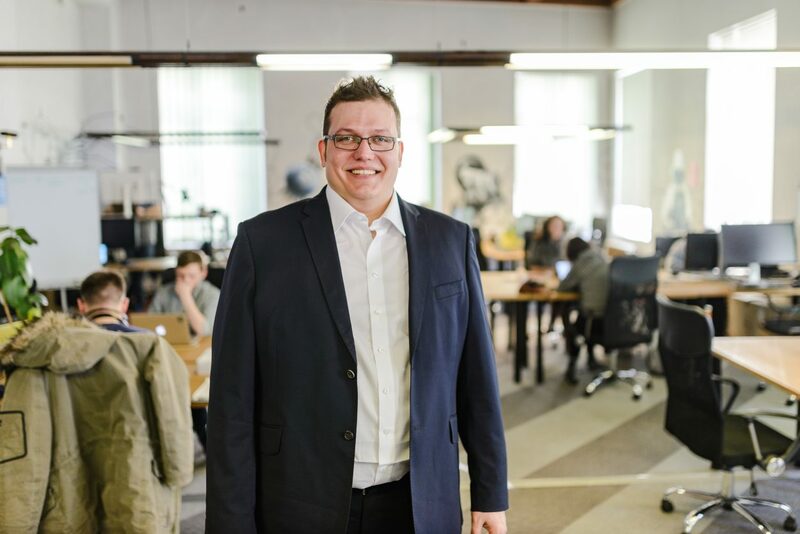 “We’ve looked for the right model – for example, we realized while testing that local people often weren’t interested in Latvian or Finnish prices. They wanted to know how much the service costs in their own town. So we had to make our services comparable not only internationally but also by each town. That in turn meant that we had to broaden our focus and add even more clinics to achieve market coverage. As early as a month or two after entering the information, surprising perspectives cropped up – the differences in prices for dental care varied severalfold even within Estonia. Price lists are often so complicated and specific, and that makes it hard for people to make sense of them and compare them. Even if a person compares 2-3 clinics, they still don’t have a full picture of the service providers, such as doctors who have just started practicing. Major differences also emerged in the case of laser eye surgery – when we put all clinics on equal footing, it turned out the ones who marketed and advertised more didn’t have anywhere close to the more favourable prices. A third-generation operation in one clinic might cost the same as another clinic’s first-generation operation. The price difference was 30-50% in Estonia, as competition is more efficient than in dental care,” says Lainjärv. Relatively few appointments have been made through the environment at this point, as people are not used to comparative shopping for medical services. Still, we’ve consciously made a point to avoid paid advertising, because before you pour in the water, the bucket has to be watertight, so to speak. The question is about growing trust and convenience – people want to compare prices, but when it comes time to make an appointment, people call the clinic directly. In Medihub, reservations for appointments are aimed at foreign clients.